President Trump told Israeli Prime Minister Benjamin Netanyahu during their meeting at the White House on March 26 that if Israel doesn't limit its ties with China, security cooperation with the U.S. could be reduced, according to Israeli officials. 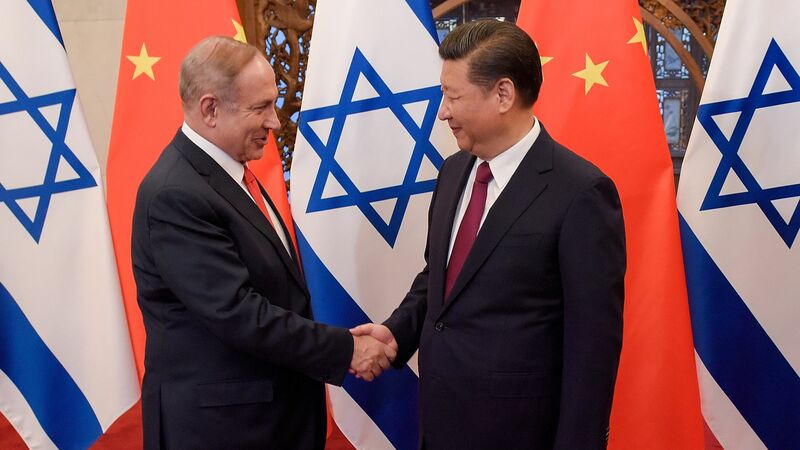 Why it matters: The Trump administration and the Netanyahu government are aligned on virtually every issue, but relations with China have emerged as a main point of contention. The Trump administration has already asked the Israeli government several times to limit its ties with China, and the fact that Trump himself raised it with Netanyahu indicates the White House may be growing impatient. Background: In January, national security adviser John Bolton visited Israel and privately raised concerns about Israel's China ties with Netanyahu. Secretary of State Mike Pompeo has also privately raised it with Netanyahu several times in the last 6 months, and he even publicly warned recently that "intelligence sharing [with Israel] might have to be reduced." Netanyahu told Bolton and Pompeo that his security Cabinet is about to pass a decision on forming a new government mechanism that will monitor Chinese investments in Israel. The security Cabinet held two meetings on the issue in the last several months, but still hasn’t come to a decision due to disagreement between Israeli government agencies. During the March 26 meeting, which took place minutes after Trump signed the presidential proclamation recognizing the Golan Heights as part of Israel, Trump was the one to raise the China issue. Trump didn't set an ultimatum or threaten Netanyahu, but he wanted to know the status of the steps the prime minister had promised Bolton and Pompeo. Israeli officials told me Trump said he was concerned that the Chinese had won several major infrastructure projects — like the new port in Haifa, where the U.S. Navy's 6th Fleet has operated for decades. Israeli officials said the U.S. is also concerned about Chinese telecommunication companies like Huawei being involved in the future of building 5G infrastructure in Israel. According to Israeli officials, Netanyahu doesn't have a problem with pledging not to let Chinese telecom companies build Israel's 5G network. The biggest issue is the Haifa contract, since construction at the new port has already started and canceling the deal now would cause a huge crisis with China that Netanyahu is seeking to avoid. The White House didn't dispute this account but refrained from commenting. The prime minister's office told me: "The story is not true."